Global hospitality group Swiss-Belhotel International has firmed up its presence in the Middle East, Africa and India by naming Laurent A. Voivenel as senior vice president. The company currently manages a portfolio of more than 145 hotels, resorts and projects worldwide and is targeting the Middle East, Africa and India region as a key growth market. Chairman and president Gavin M. Faull said: “With an outstanding portfolio of globally-recognised brands, we are aggressively expanding our footprint across the world, and the Middle East, Africa and India region is ‘big’ on our development plans. “To support this massive growth it is crucial to have strong leadership. We are delighted to welcome Mr Laurent A. Voivenel on board who will spearhead our operations and development in the Middle East, Africa and India. 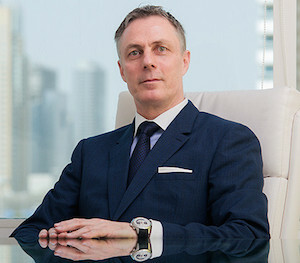 Voivenel will be based in the group’s regional office in Dubai. Commenting on his new role, he said: “It is an enormous privilege to join the Swiss-Belhotel International at this pivotal point when it is one of fastest growing hospitality groups. I am very excited to take up this new challenge and truly grateful to Swiss-Belhotel International for having given me this fantastic opportunity. Voivenel has more than 30 years of outstanding international hotel and asset management experience with some of the world’s leading and most prestigious hospitality brands including Starwood Hotels & Resorts and Hilton Hotels & Resorts. Prior to joining Swiss-Belhotel International he was the Chief Executive Officer of HMH – Hospitality Management Holding.